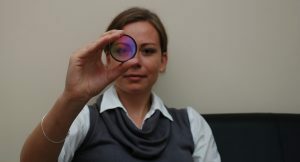 Michalina Góra, PhD, a physicist working on non-invasive imaging of organs in medical diagnostics, talks to Patrycja Dołowy. PATRYCJA DOŁOWY: The example of your scientific career shows that it is possible to consistently turn research into specific products that people really need. In the language of grants, that’s known as commercialization, though the word doesn’t fully reflect the essence of what you do. Did you always know this would be important to you in science? MICHALINA GÓRA: That’s a very good question. Science doesn’t always exist separately from its applications. In my case it was and still is connected with medicine. Physics is divided into theoretical and experimental physics. I am drawn to the latter. From the moment I first went through the process leading from an idea to its use on a patient, I’ve found it hard to imagine any other road that could give me so much satisfaction. From a theory, an idea, through a prototype, then designing the final device, building the laser, all the way to imaging the first patient: it’s absolutely incredible. At first we performed imaging on healthy people, then finally the time came for patients with various diseases. They were delighted that someone was working on how to help them. That’s the best motivation; a great effect of hard work. Usually when we build something, the question arises: what’s it for? Ever since that first cycle, I’ve always had a need to make sure the devices I build are used for something important. I’ve had the opportunity of working with doctors, from Toruń and Bydgoszcz, and with those doctors’ patients. Doctors usually seek solutions to problems that keep arising in their work with patients. They are great to work with. They are very open-minded. I think this open-mindedness is something that scientists and doctors have in common. What did the research in Toruń involve? The optical coherence tomography technology I worked on in Toruń with my colleagues was used for imaging the anterior chamber of the eye. It had quite extensive application and responded to specific clinical problems. At that time there were no available methods for microscopic imaging of this section of the eye. Thanks to this method it was possible to measure the cornea much more accurately, with very high resolution, examine it in detail and offer a better diagnosis of what was happening to the patient. The cornea’s shape is very important. It determines the quality of vision. If the shape is wrong, it can be corrected. Today vision correction surgery is popular. But if the sight defect is substantial, an operation could be dangerous for the patient. It’s important to help doctors make the decision as to which patients can undergo surgery. Today OCT, or optical coherence tomography, is also starting to be used during operations, not just in vision correction surgery but also more complicated procedures. It helps the doctor reach a decision and correct defects very precisely. Was that when you received a grant from the Foundation for Polish Science? I received a grant to develop the technology. Before that, for two years I conducted research related to using optical coherence tomography in art conservation. So you decided to transfer a technology used in art conservation to medicine? In medicine OCT was already being used for imaging the posterior part of the eye – the retina, which is thinner and smaller. Existing systems in medicine were designed to image a very small area of the human eye. I was working with art at the time, which is very big by comparison. I was developing scanning methods enabling larger areas to be imaged. The anterior part of the eye is also large compared to the retina. Scanning technology and another laser technology introduced at the time, which allowed for very fast imaging and sampling, enabled us to obtain a precise image of the front eye. It was quick and had no artefacts caused by the eye movements which are completely normal in a patient. Am I right that thanks to almost simultaneous collaboration with doctors, this technology was immediately transferred to hospitals? Today front eye imaging is widely used in ordinary eye tests, though it’s not exactly the same technology that I worked on. But when you consider that our system was one of the first, and it was just 7 years ago, it’s extraordinary. Of course the biggest breakthrough came with the earlier use of OCT to examine the retina, as it was the first non-invasive diagnostic method. When we were working on our technology this was already largely a well-established path. You stuck to developing non-invasive or less invasive optical technologies when working in the United States. How did you end up at the Harvard Medical School in Boston, on such an excellent team? Working on my doctoral dissertation in Toruń, I came in contact with eminent professors: Andrzej Kowalczyk, Piotr Targowski and Maciej Wojtkowski. They asked me what I wanted to do next, and at which laboratory. There are many places where you can complete a postdoctoral fellowship. I said firmly that I was interested in one where equal prominence was given to the development of technologies and medical research. The list was narrowed down very quickly. I chose the laboratory of prof. Gary Tearney famous for extremely rapid transfers of technology to medicine. I sent my CV, went for an interview, and got the job. Undoubtedly my coming from the Toruń group was a factor, because it was well-known around the world, and also good publications and grants. The grant from the FNP was a sign to them that I knew how to find funding. They offered me a project to develop an optical technology for examining the digestive tract. The difference is that with eye imaging, the patient doesn’t really touch the device. We are 2 cm from the object under examination. It’s much harder to be non-invasive when imaging internal organs. People often say OCT is like ultrasonography. It’s true that the images are very similar in cross-section, but contrary to USG we don’t have the possibility of any great penetration. If we want to observe an organ, the light has to be delivered onto the tissue. We have to design the device so that it can be placed inside the patient – in our case, inside the digestive tract. That was the biggest challenge. I had to learn how to build special probes, tiny ones. Small, millimetre-sized elements have to be joined together in a specified order, and cut very precisely at a certain angle. Until recently a probe for digestive tract imaging had to involve the presence of an endoscope. The endoscope served to put the probe inside the patient’s digestive tract. Not all patients are willing to undergo endoscopy, which is pretty uncomfortable. So the point was to design a probe that would enable imaging to be performed without endoscopy. Is that how the idea came up to put OCT probes in small capsules? Small capsules with tails, which can be swallowed by patients without any great difficulty, to deliver light inside and retrieve information. The first two years were spent on building the imaging system and my training in building catheters. Only then did we start designing the capsule. But then it took us just 6 months to go from an idea to the first patient. It was the team’s absolute record. The team headed by Prof. Gary Tearney is a great environment to enable that. It includes postdoc scientists, but also a 3- to 4-person special unit working on transferring technologies from the laboratory to the clinic. They are the ones who help write medical projects which are then reviewed by a hospital ethics committee. The committee may endorse a project or not. Obtaining permission to use a technology is the toughest moment. This makes the design process especially important. If we engineers have an experienced person working with us in the laboratory (in the United States they have postgraduate courses in medical implementation), someone familiar with different restrictions, who tells us at the start: that’s fine, but this won’t get the go-ahead, then any ill-judged ideas can be eliminated straight away. For building the capsule, we used a material that is used in artificial human lenses. We had to find materials that had already been approved for use in humans. That speeded up the process. We also had a gastroenterologist in the room. Thanks to such a complementary team working together in one place we managed to quickly build a stable and clinically compatible system. And a beautiful one! The capsule is truly lovely. Isn’t that also important from a patient’s point of view? …but has strong psychological grounds! Exactly. At the design stage we would go to doctors or nurses whose patients had difficulty swallowing. We asked them what this involved, what the biggest problem was: size, appearance? It’s extremely important to take the patient’s needs into account, because it’s all about working with patients and our objective from a project’s first day! What gives you the greatest satisfaction in this work? Everything taken together. We do something different every day. Today I’m at the laboratory. With the capsule, I also first made it by myself in the laboratory. Then, once I’d documented everything, an engineer took over capsule production while I could focus on data analysis or redesigning the capsule. The next day I’d take the probe to the hospital to try it out on a patient. Of course before we go off to work on people, we test everything first. I love building, designing new things, but I also like knowing whether they work properly. And improving them until they’re perfect. When you work with patients, you have to be. It was also important to my boss. He is the one who takes responsibility for research results: positive and negative (which also happen!) – he had to trust me. And the doctors did, too. They always knew that if I called to say I wouldn’t come in that day, it meant something still needed tweaking. When I said I was coming to see them with a capsule, it meant it worked perfectly. I was glad the patients were conscious during the examination. They asked questions, were interested in the technology. I like both science and engineering. I can’t imagine choosing just one of these areas. And now you are in France. What are you doing there? I’m a researcher at France’s National Centre for Scientific Research (CNRS). The centre employs scientists from all over the world. They can choose the institute where they’ll conduct their research. I chose the ICube Laboratory in Strasbourg specializing in imaging, engineering and IT. There are about 500 scientists from various fields working there. Strasbourg is one of the leading centres involved in transferring research and technology to clinical practice. It has one of the few special institutes dealing with the implementation of inventions. There is also a training clinic for minimally invasive surgery. Surgeons from all over the world come here to train. They learn the most advanced surgery techniques: laparoscopy, endoscopy. Besides the question of how to cut something out, there’s also the question of what to cut out. That’s why improving imaging is so very important. What attracted me to this place was its excellent team working in medical robotics. Most of the work with applications of optical coherence tomography in the digestive system was done in the oesophagus, which has simple geometry and is easily accessible. It is a tube 2.5 cm in diameter and 20 cm long. The large and small intestines are still the most difficult objects for minimally invasive microscopic imaging. And unfortunately they are the organs with the greatest likelihood of cancer. Colorectal cancer is currently one of the world’s biggest medical problems. Probes that are designed for the oesophagus cannot work in the intestines, particularly the colon because it’s too big and its diameter changes too often. The competition to get into the CNRS included a 10-minute presentation of a project for the next 30 years. A tough task! My 30-year plan involves a combination of optical methods and robotics enabling us to overcome today’s limitations and build devices that will be able to operate in organs like the small or large intestine. I am currently working with an optical and robotic group. I’m learning new things. It’s really great when you have time to read and learn. I also have direct contacts with doctors. Thirty years is a long time for a researcher! Does that mean this is your place in the world today? I can go on research leave, I can switch to another laboratory, but generally speaking the CNRS is my employer for the next 30 years. It was hard for me to leave Boston, the people but also the technologies. You cannot take technologies with you. Professor Tearney will visit me here and we’ll talk about research collaboration. The project can develop in many directions. The specific plan describes the first 5 years. 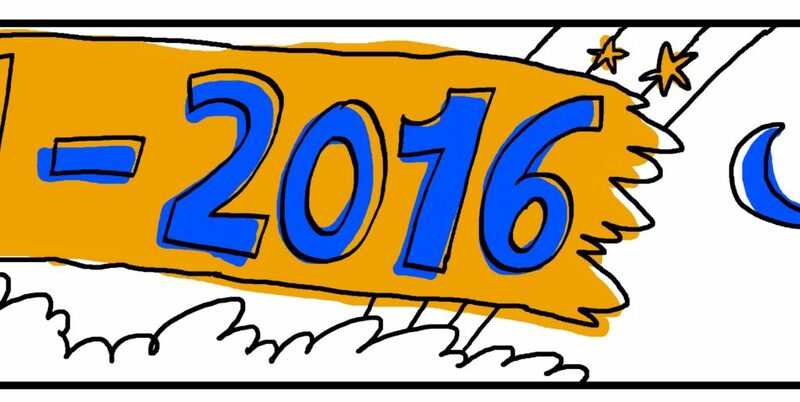 Subsequent years are only a vision. Whatever I create, I’ll be able to follow up, and develop further. Wonderful! One other thing bothers me. How did you choose such a strictly technical field? Education at Polish schools still often discriminates against girls in science, not to mention technology. How much determination did you have to show? School education didn’t help me, it’s true, but not because of the gender issue but because the physics I learned at school wasn’t interesting. But my father is an engineer, and he didn’t have a son. I have two sisters, I’m the youngest. My middle sister and I were always helping with all kinds of drilling, and home repairs. We were very handy about the house. It was my dad who suggested I should study physics. I was best at mathematics, but dad said I’d be bored with a mathematics course because they didn’t do experiments. My fellow students didn’t include many girls. The few there were did great. We weren’t treated any worse, but it’s a strange feeling when you sit in a room with three girls and forty boys. Today it’s not an issue for me. There is great emphasis on equal rights in the United States and in France. Things are not bad now in Poland’s scientific community, either. What would we need in Poland to have efficient research implementation systems like the ones we’ve been talking about? In this respect the United States is definitely ahead of everyone else. I think one important factor is that American doctors have mandatory traineeships at science laboratories as part of their education. They are familiar with science, are not afraid of it, it’s not a strange world to them. France is going in the direction of encouraging medical students to take up physics. The problem in Poland is that we don’t fully understand how our careers work. I learned a lot working on my PhD: how to work in a laboratory, how to work hard, what to do to make things function properly. And as for the principles of how a scientist’s career develops? Nothing. No one explained it to us. We receive knowledge, but what can we do with it? How does politics come into scientific research? What significance does the social reality have for science? When I went to Boston, they asked me: what is the aim of your career? I said: scientific research, and they replied: that’s an aim of every scientist, but what is your aim? Professor Gary Tearney said: “My aim is to build ten inventions that will help people. Let’s say I’m on the seventh one”. That’s what it’s all about. MICHALINA GÓRA, PhD (born 1982 in Toruń), works at the ICube Laboratory, CNRS in France. A beneficiary of the FNP’s VENTURES programme (2008).